The scope and scale of our projects can vary widely – we are involved in the design of simple window boxes all the way up to master planning properties larger than 100 acres. However, a universal truth of a well-thought design is, “the beauty is in the details.” In this post we focus on the level of scrutiny we levied on one small aspect within a larger project – the process of designing a custom mailbox from concept to completion. First, concept sketches were completed. 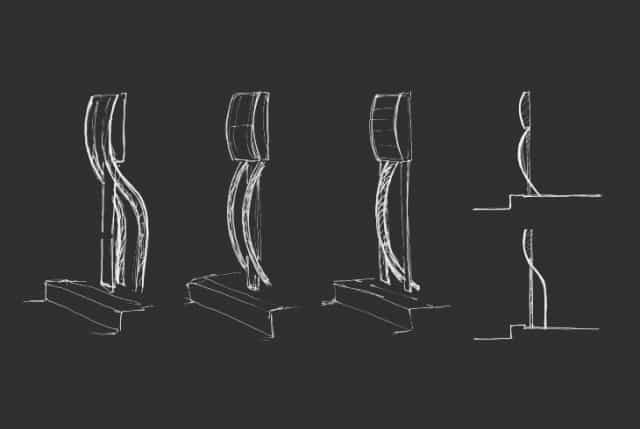 These sketches explored the notion of a curved metal detail that matched the vernacular established by the entrance gates. We determined that a “double ribbon” concept worked better with our overall design and would better complement its surroundings. 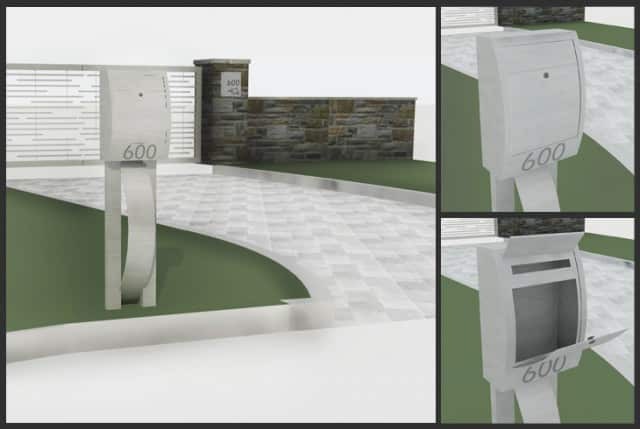 For presenting our preferred design to the client, we created three-dimensional computer models of the custom mailbox, placing it in context with its finished surroundings. This served more as a study model, and allowed us to showcase the mailbox through a number of different views, materials, and situations to the client. Once approved, we produced a set of construction drawings showing the details and dimensions of the piece. The steel fabricator then went to work, and when finished they transported the piece to the site for installation. 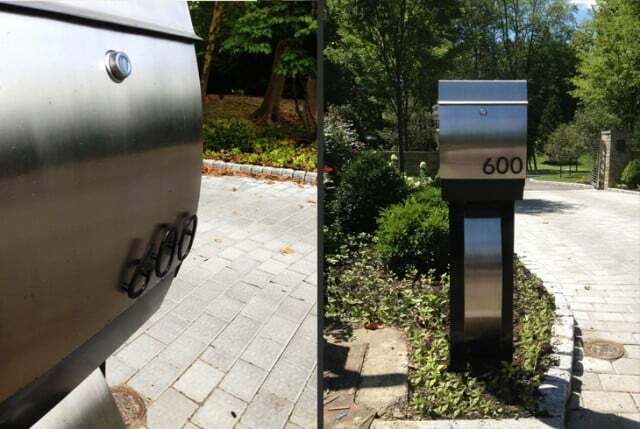 Here are some images of the custom mailbox once it was installed. By repeating the material choices and typeface used in the gate and entrance numbers, the mailbox really pulls the whole entrance space together as one cohesive design. As always, the project was a team effort. Special thanks to Anderson Ironworks for their impeccable fabrication work and commitment to design collaboration.